Congratulations to the new 2016 Champs - Mira Loma High School from Sacramento, California and Daniel Wright Junior High School from Lincolnshire, IL, are the Division C and Division B winners of the 32nd Annual Science Olympiad National Tournament! Opening Ceremony, Action Shots and Award Ceremony medal and trophy recipient highlight photos will be posted on Facebook after the event. Full archived video of the Awards Ceremony on Saturday, May 21, posted here. Watch the Opening and Closing Ceremonies via Live Stream Friday, May 20 and Saturday, May 21! University of Wisconsin-Stout Scholarships for Gold Medal Winners (Division B & C): UW-Stout will award a one-time $1,000 UW-Stout Polytechnic Scholarship to 2016 Science Olympiad National Tournament non-trial event gold medal winners in both Divisions B and C. The 15 members of the first place teams in both Divisions B and C will receive a $3,000 UW-Stout Chancellor's Scholarship, renewable for $1,500 for a second year. All offers are subject to eligibility.  In its continuous effort to design Science Olympiad events that are balanced, relevant, challenging and fun, the Science Olympiad Executive Board is announcing plans to add a Science Olympiad Coach position to the National Advisory Committee. The coach will serve a one-year term and attend the Advisory Committee and Executive Board annual joint meeting at the NSTA National Conference. A nomination form will be posted after June 15, open only to Division B and Division C Head Coaches from 2016 Science Olympiad National Tournament teams. Find details here this summer! 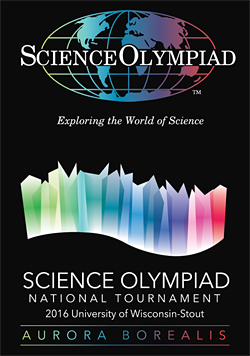 The 2016 Science Olympiad National Tournament will feature a STEM Expo & Aurora Stage for students and families on Thursday (9am to 4pm) and Friday (9am to 3pm) May 19 & 20, located at Jarvis Hall and the South Lawn of the Memorial Student Center (410 10th Ave. East). 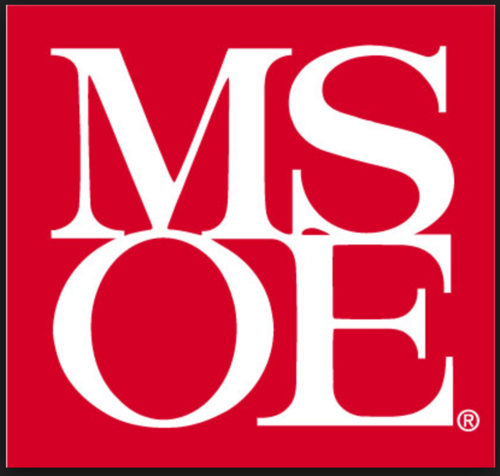 Visit the Ward's Science booth in the Student Union for free swag and a chance to win Ward's Science Olympiad Kits, and meet with UW-Stout Departments and partners like 3M, Xcel Energy, Mayo Clinic and Stratasys. This year, we will be running the FREE iPad Mini contest as a clue-based scavenger hunt online! Three clues will be posted at STEM Expo locations (Aurora Stage, Ward's Booth and 3M Booth) Friday, May 20 after 9am and an online form will allow students to submit their answers for a chance to win! Back by popular demand! Audition to be "The Next ACE Hardware Science Star!" at the ACE Hardware Science booth in the Stout Student Union on Friday, May 20 from 9am to 2pm - Steve Jacobs of Mr. Wizard and Mythbusters fame will be on hand to direct students through a short video audition using hardware props -- winners will star in a Hardware Science video shot on location in Chicago (trip included!) and snag $500 for their team -- winners in 2nd to 5th place will win $250 each for their school's Science Olympiad program. All win Bose Speaker systems! In 2009, Board Members Dr. Gerard Putz and Jim Woodland traveled to Tokyo, Japan, to present Science Olympiad concepts to Japanese education officials from the Ministry of Education (MEXT) and the Japan Science and Technology Agency (JST) at "Science Agora." A partnership between Science Olympiad and JST was born, founded on a shared passion for making science competition fun and exciting for all students. In 2016, JST will host its fifth annual Japan High School Science Championships (JHSSC), where the Grand Prize for the competition is a trip to the 2016 Science Olympiad National Tournament at the University of Wisconsin-Stout. The Grand Prize will be presented by Dr. Gerard Putz, Science Olympiad co-founder, and Sharon Putz, Executive Administrator, to students in Japan in March. In 2015, the JHSSC added a Science Olympiad tradition to the contest, the ever-popular Swap Meet! As they did at the 2012-2015 National Tournaments, Japanese students will meet their American peers and participate as unranked guests in selected Science Olympiad events. Please welcome our friends to Wisconsin, and see photos from the event on our Facebook page!